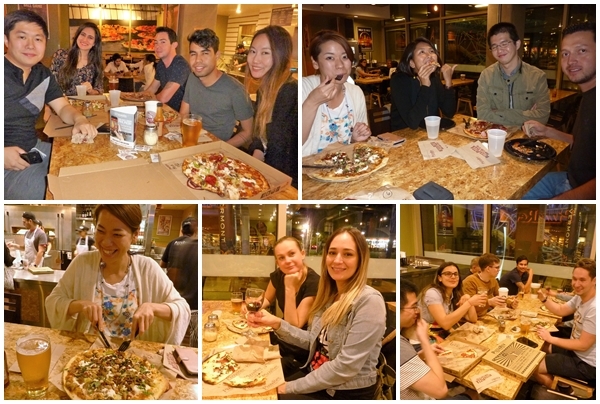 Around 20 students from LSI Downtown joined teacher John for pizza at Pizza Rev last Tuesday night. At Pizza Rev, you can design your own personal pizza with any toppings you like for only $6.99 (Tuesdays only). We are doing this every week, and students are finding it a good way to relax and use the English they learned in class, as well as making new friends! Why don't you join us next week?